Straight Outta Lyari and baarish! Umeed hai ap sab theek hongey aur barish main samosay kha raye hongey. If not then it’s your loss. To start with our khabarnama, third episode of Patari Tabeer has been released. 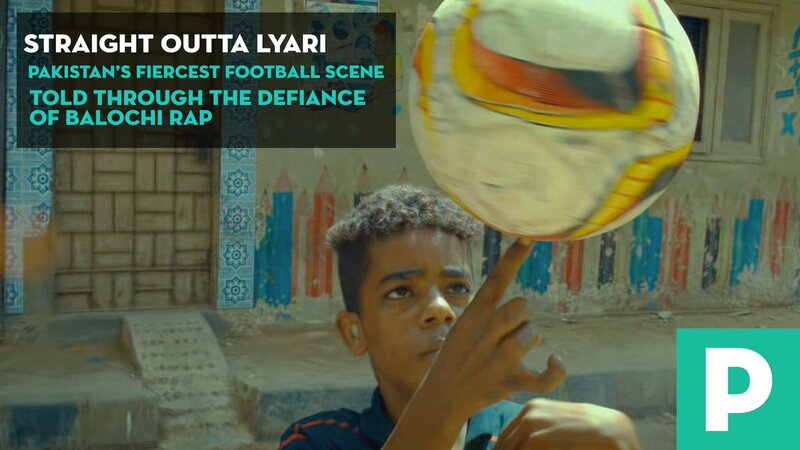 Players Of Lyari is Pakistan’s fiercest football scene told through the defiance of Balochi rap. A collaboration of Lyari Underground and Dynoman, Players Of Lyari is about the mistreatment of Lyari’s footballers, and how their talent is wasted. Beat aisi bumboo hai k Cristiano Ronaldo bhe Lyari Underground join ker lay! Full video k liye yahan jayein aur ja k share bhe karain. Its time to throw your worries away and learn to live in the moment with a smile on your face with PEPSI’s new campaign #JeeLayHarPal. First song of this campaign “Jee Lay Har Pal” by Atif Aslam is definitely going to make your day. Is k ilawa don’t miss a beautiful collaboration of Irfan Ali Taj and Zoe Viccagi “Dunya Ju Baso“ straight from the mountains of Chitral. Also, Asim Azhar has unintentionally given us a perfect song for Valentine’s Day “Khuwaish“. Bae ka dil yeh gana sun k melt na hua to paisay wapas! Ab bus hum baarish enjoy karnay ja raye hain. Koi extra samosa ho to please share! Previous Previous post: New Year & Investment! Next Next post: Patari Tabeer went to Faisalabad!